Are You Optimizing Your Business for Voice Search? More than half of all searches come from mobile devices, and at least 20 percent of those queries are initiated by voice. With those numbers projected to increase as more people tap into micro-moments, it’s safe to say that we’re only seeing the tip of the voice-activated iceberg. That’s why it’s critical to get your business on board now. Optimizing your business’ online presence for voice searches involves tactics that are somewhat different from the ones you’d find in the typical SEO strategy. That’s because voice search queries are not the same as the ones users type on their desktop or mobile device. Voice searches tend to be longer and more conversational since the user is typically interacting with a virtual assistant such as Siri, Alexa, or Google. They also tend to be complete questions or demands. Want to keep your business ahead of the curve? Here are a few tips for optimizing your digital presence for voice searches. Since so many voice searches are in question form, you need to anticipate the needs of your target audience and create relevant content based on those needs. Your content can come in many different forms — it can be blogs or articles, or they can be simple entries on your FAQ page. For best results, we recommend creating individual pages for each FAQ, which can then be linked on a single parent page alongside all your other FAQs. Did you know 50 percent of local mobile searches by a consumer lead to a store visit in a day? That’s huge! If you want to optimize the local findability of your business, claiming your Google My Business listing should be a number one priority. 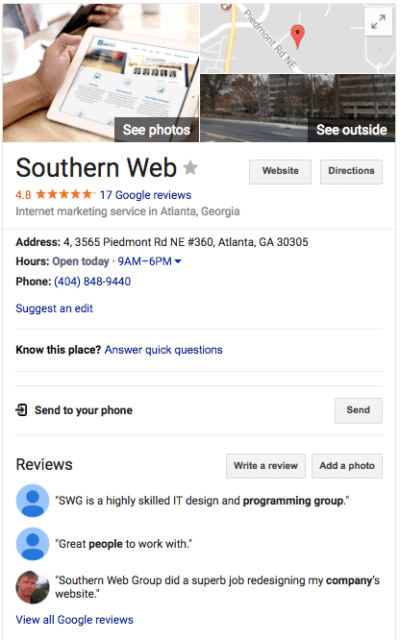 Google My Business allows businesses to manage and customize the listing that shows up when users search for your business or relevant keywords about your business. At right is the Google My Business profile for our agency. Google automatically creates your listing, which business owners can then claim through a special verification process. Once you are given access to your Google My Business account, you can control all the information and imagery related to your business, including your business description, address, hours of operation, website, contact information, and customer reviews. Neglecting to provide this kind of information could be the deciding factor for not visiting your business — especially if you have plenty of competitors who do provide this information. They’re easy to navigate and read. Making your website accessible is not only a disability rights issue — it’s also just a smart business move since Google favors accessible sites. As voice-activated search technology advances, the more information you provide on your site, the better. No, that doesn’t mean stuffing your site with unnecessary keywords. What it means is leveraging the power of hidden structured data, which can provide Google with lots of helpful information without compromising your user experience. 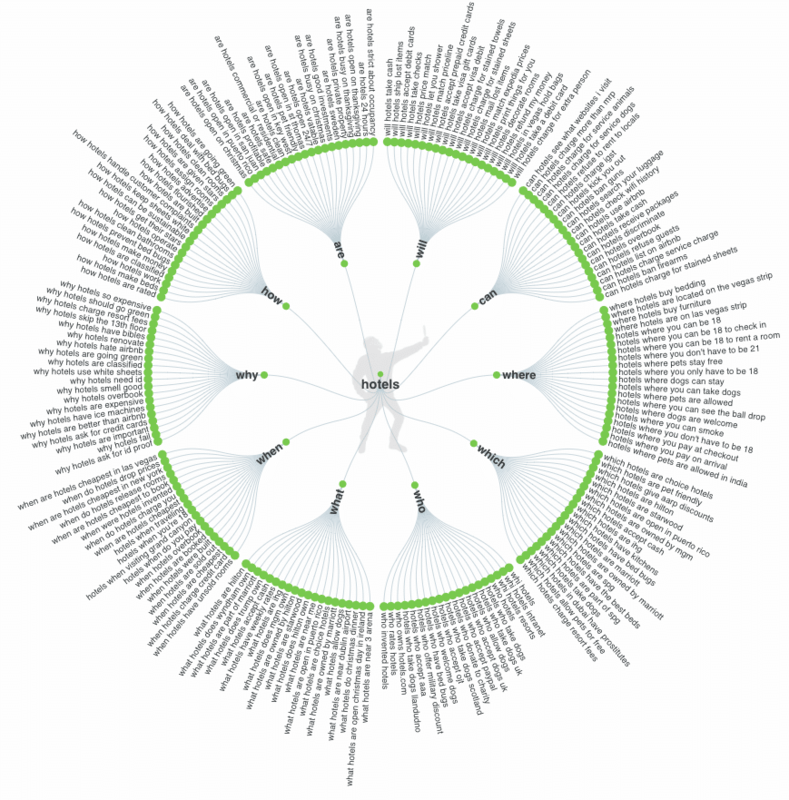 You can find structured data in title tags, meta descriptions, internal links, anchor links. Graphical blueberry pie recipe results, courtesy of structured data. Structured data is important because it helps Google understand the context and structure of a page and, most importantly, determine whether it contains high-quality content. It’s also responsible for creating special enhanced search results, such as the image-based recipe results (like the blueberry pie recipe results above) or those featured snippets you sometimes see at the top of search results pages. With more and more people using their mobile devices as virtual assistants, voice search optimization is only going to become more important as time goes by. Will your business be ready?